For those of you who have been following me for a while… You know that I’m constantly doing things. I made the commitment a couple years ago to dive head first into this entrepreneurial world. It’s been enlightening. It’s been scary. It’s been the textbook definition of a roller coaster ride. I am so grateful in many ways, and I’m so grateful for all of you. You’ve watched me continue to expand this journey. It just means the freaking world to me. It’s honestly an honor to have you in my space, and in my world. There’s a lot of lessons from 2017… I’m a firm believer that if you’re not feeling uncomfortable, and making mistakes, and learning lessons then you’re not growing. That means you’re standing still. That’s not a good place to be, right? At least not for me. I’ll go crazy. Recently I was journaling and reflecting on how a year ago I started a layer. And a year before that I started a different layer. And the year before that… etc. FOUR YEARS AGO I STARTED. Sometimes our eyes are opened for us. Sometimes we’re put into a situation, unexpectedly that changes our perspective and shifts our focus for a moment. It reminds us of something we wanted, or loved or felt. Maybe it’s something we pushed down, something we swept under the rug and convinced ourselves we didn’t need at all…simply because it was easier to tell ourselves the story that we didn’t need it instead of waking up every day feeling a void. Almost 3 years ago I moved out of my boyfriend’s house. After living together for over a year and halfway into our second year together, he dropped a huge bomb on me. Something that would have ended most relationships. He told me that even though he has said he wanted to have more children, the more he thought about it, he realized that he did not. It was not an option for him. You see, he is 19 years older than me. He has two grown children and a granddaughter, so it’s understandable that he wouldn’t want any more. Growth is a never ending process. Just because you start seeing results, doesn’t mean you’ve “made it” or can back off from the work you’ve been doing everyday to get to those results. The growth only continues if you do. It only keeps happy and sticks around as your new normal if you keep working and stay dedicated. 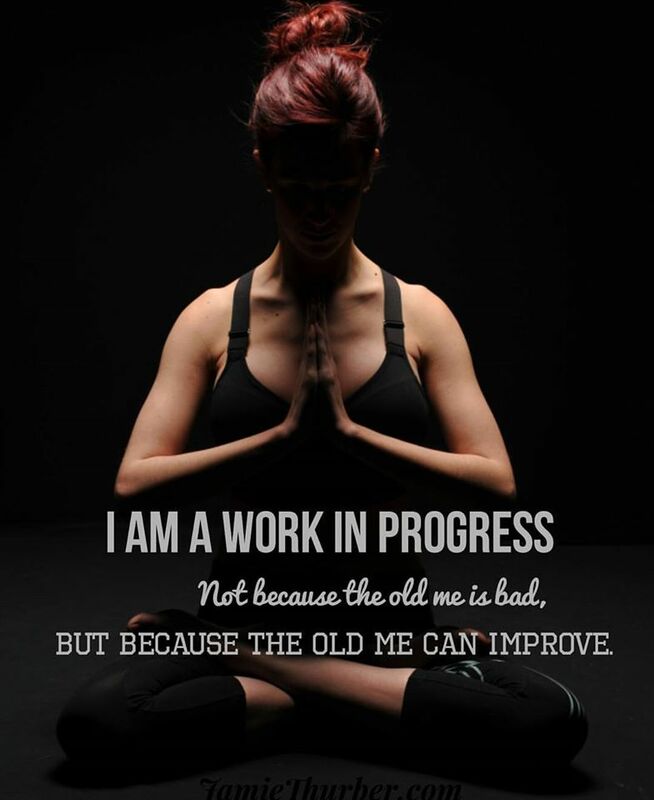 Not because the old you is bad, but because there’s always room for expansion and improvement and growth.